A Waldrep Company, Inc. has a large stock of pipe markers,labels,valve tags and more at our Houston warehouse. 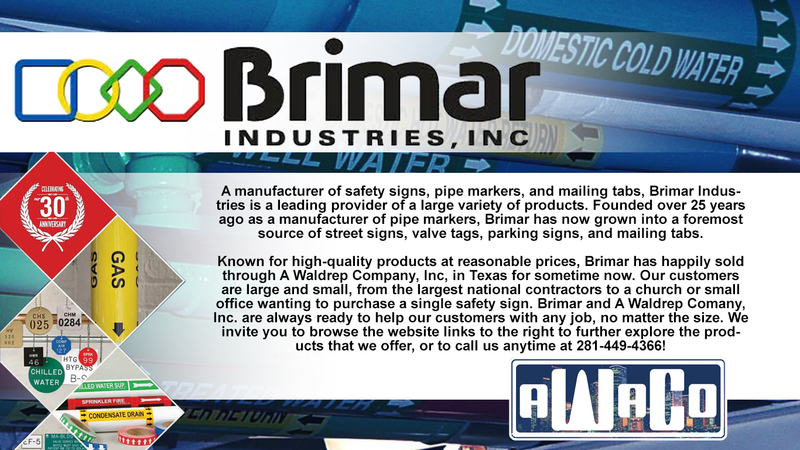 If its not in stock, let us get it on order and delivered direct to your office,customer or job site. From your run of the mill tags and markers, to custom jobs big and small, A Waldrep Company, Inc. can help you mark and identify them all! !